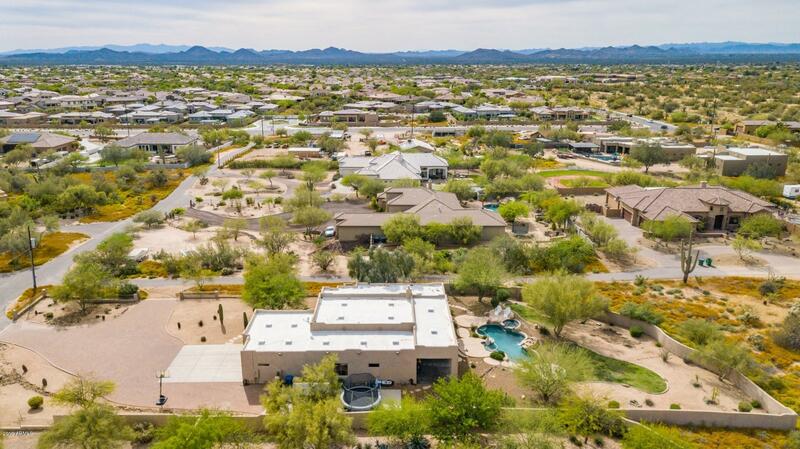 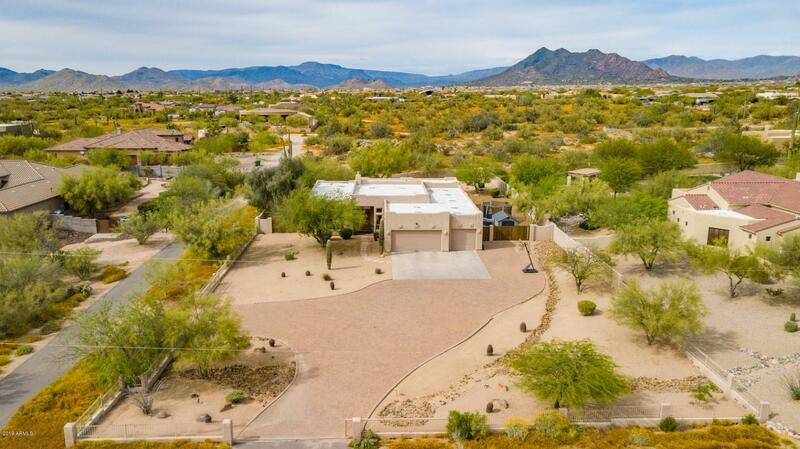 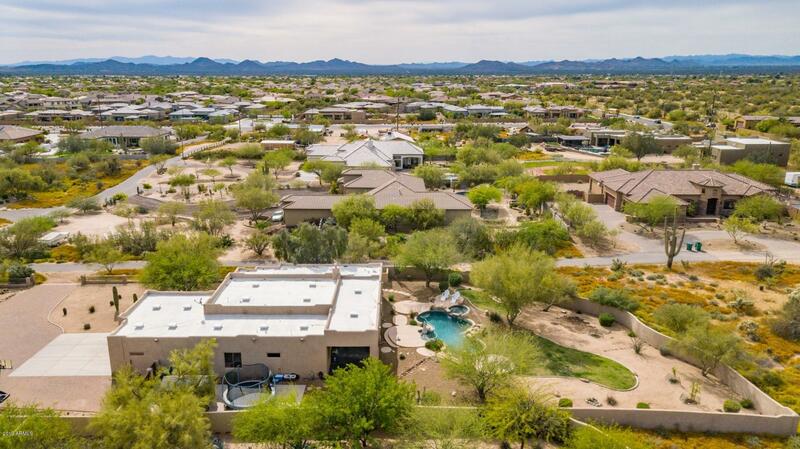 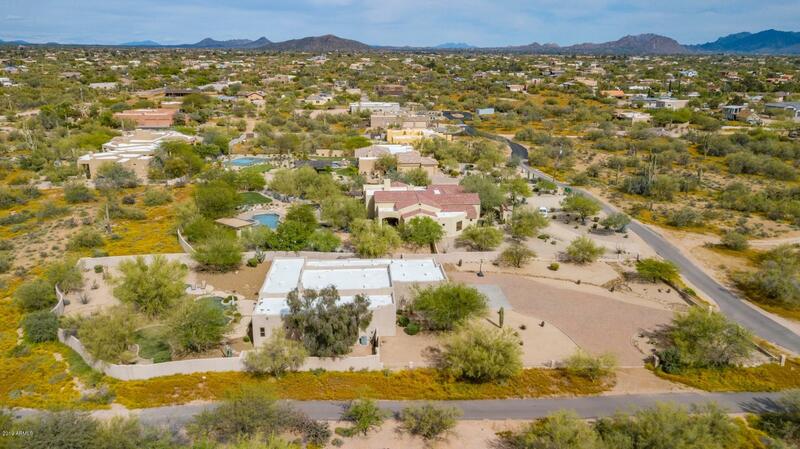 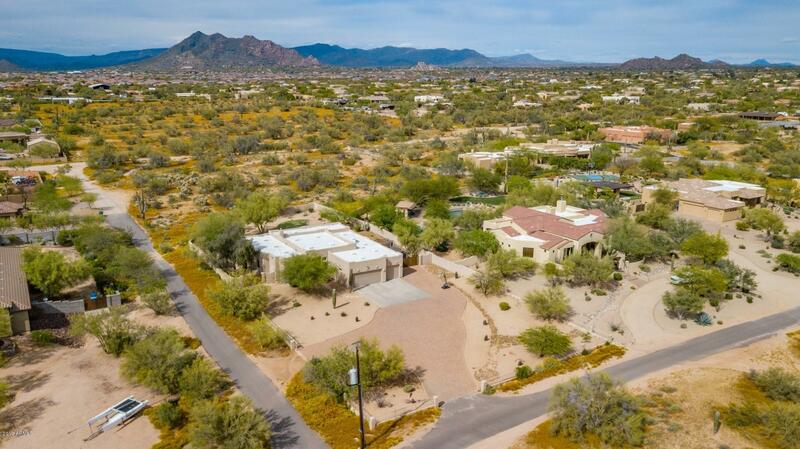 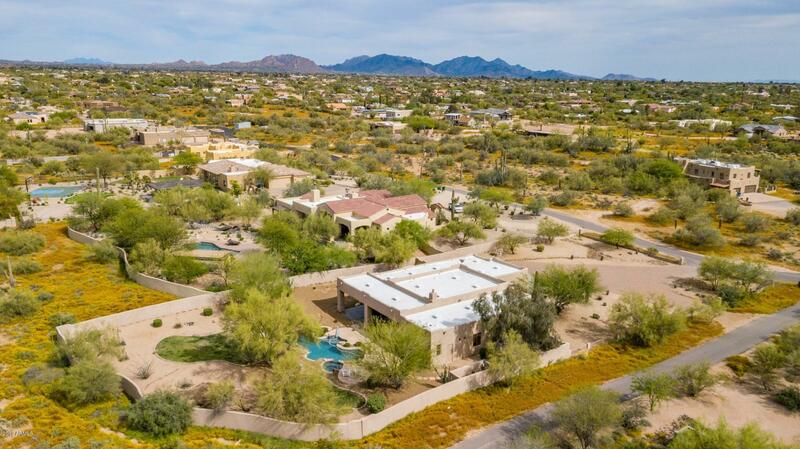 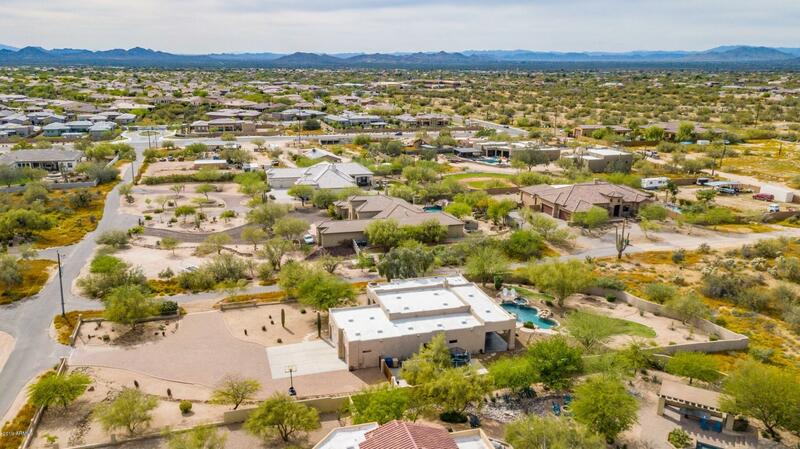 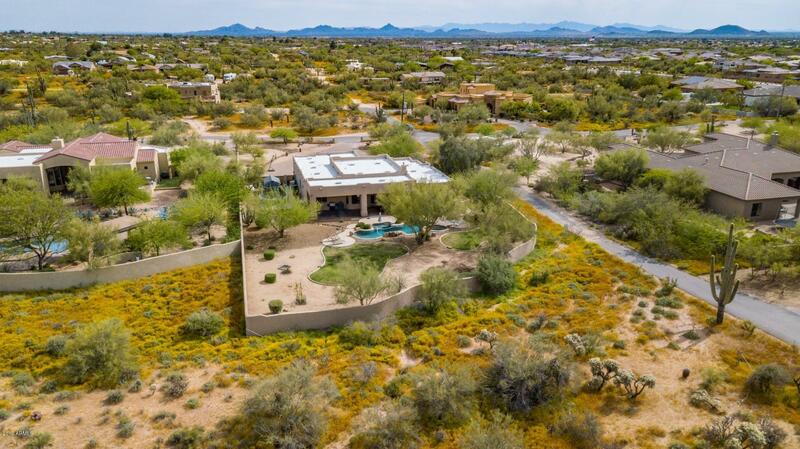 Welcome to paradise in the beautiful Sonoran desert! 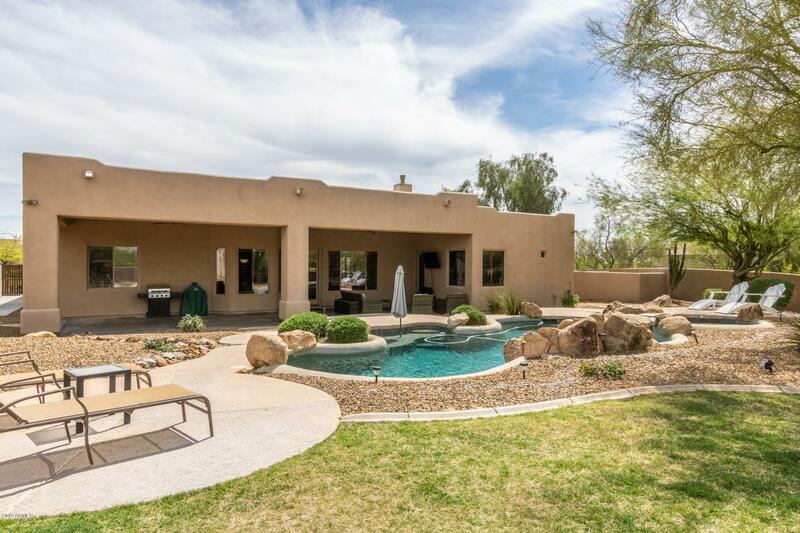 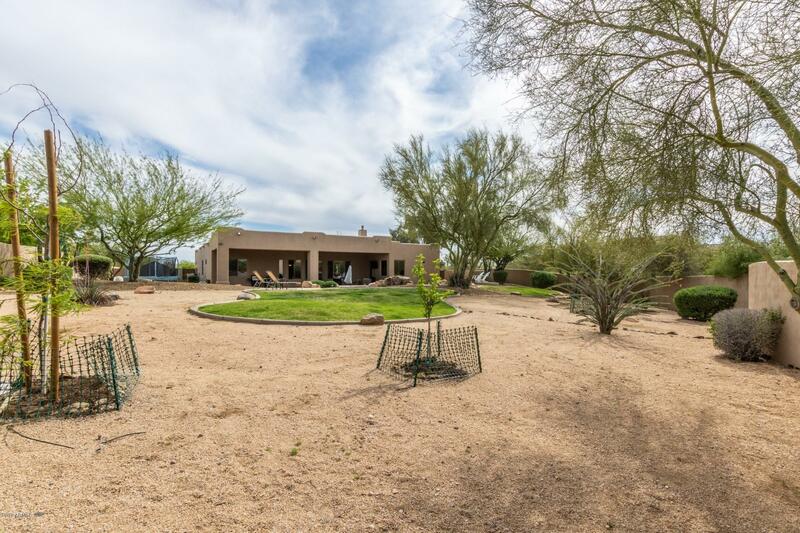 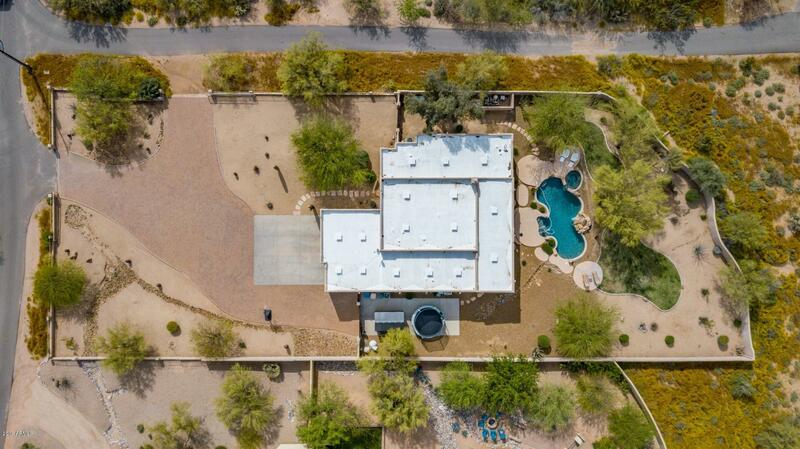 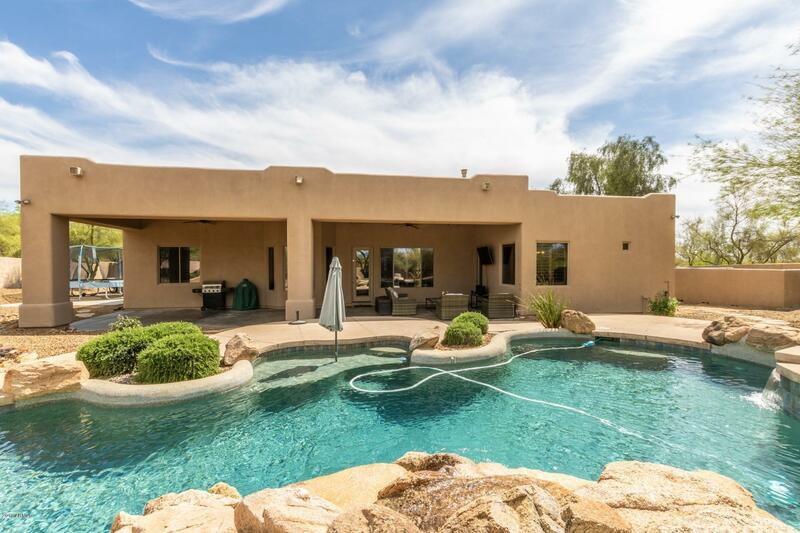 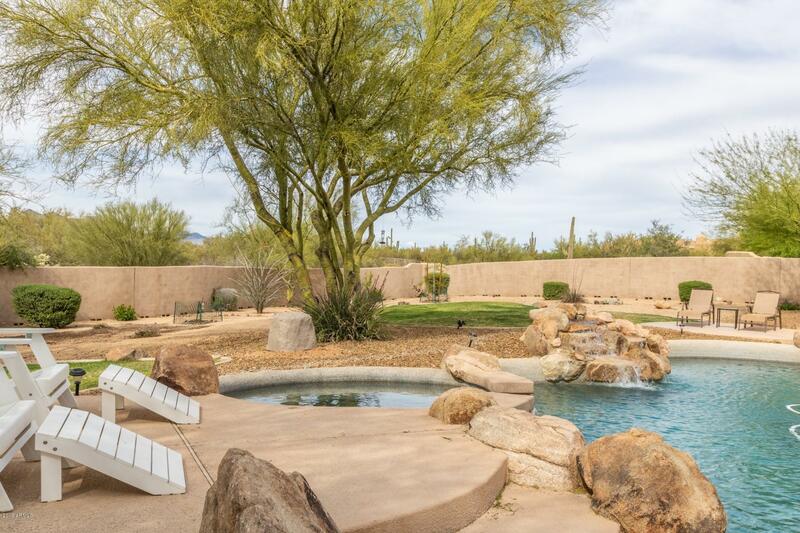 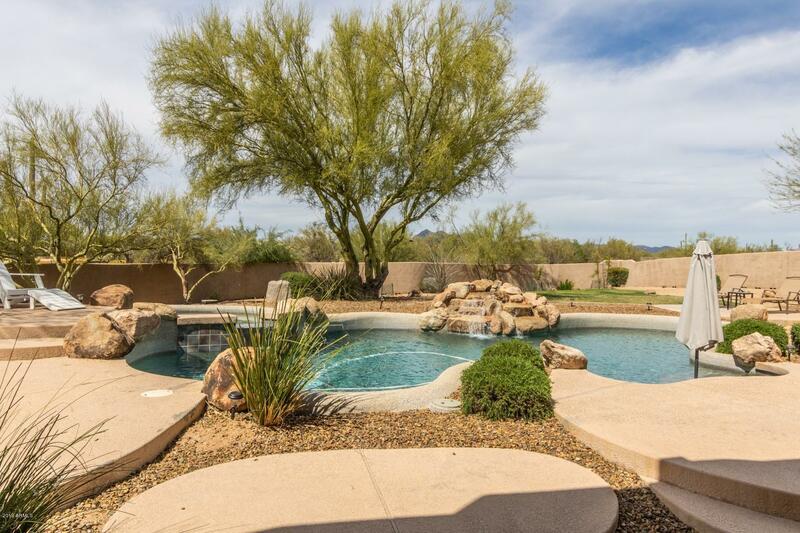 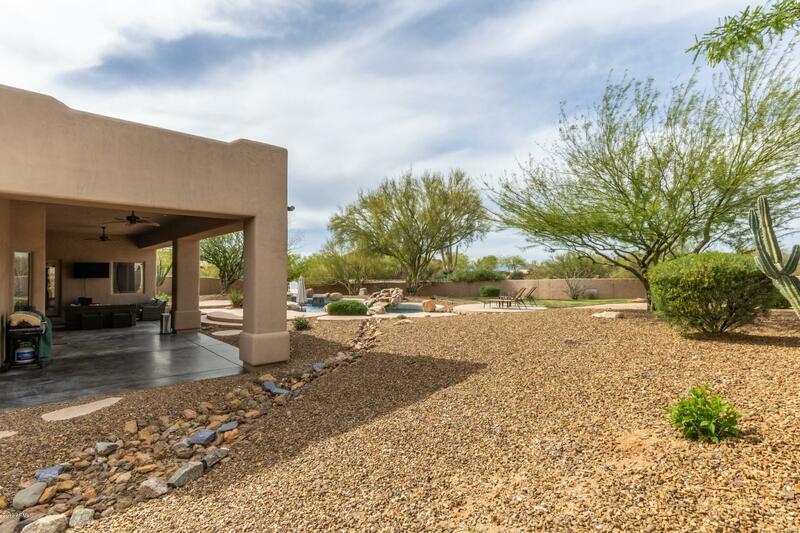 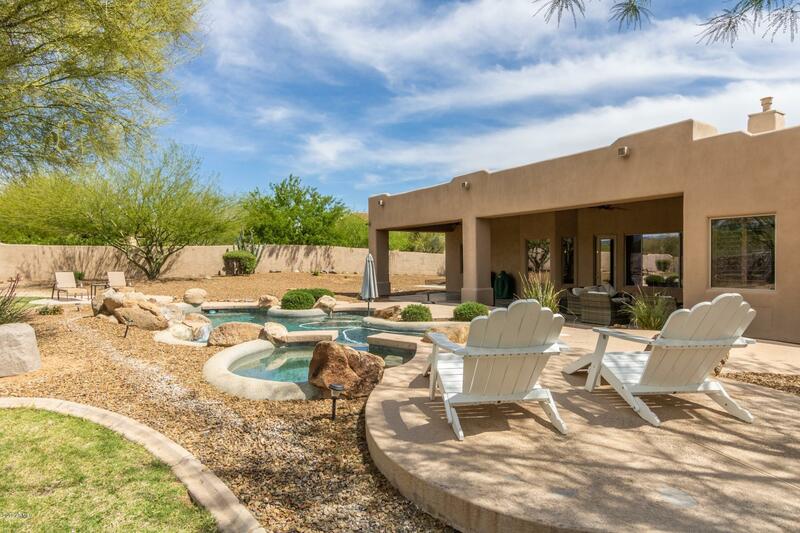 Affordable luxury on over an acre of beautiful desert landscape including a gorgeous and refreshing pebble tech swimming pool, spa, and rock waterfall. 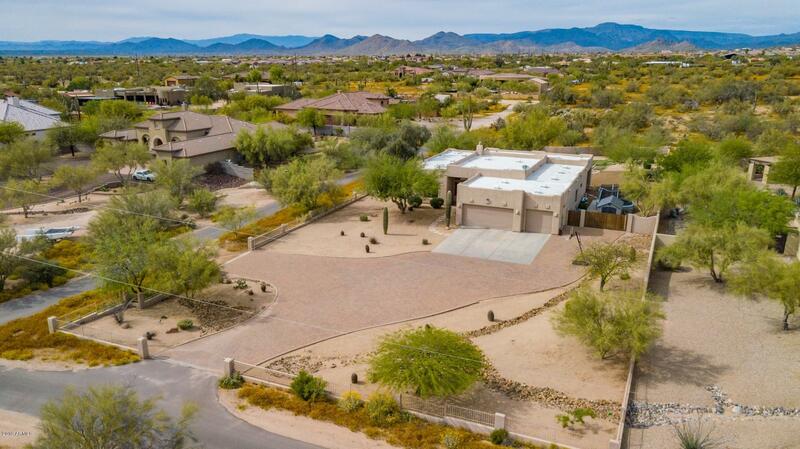 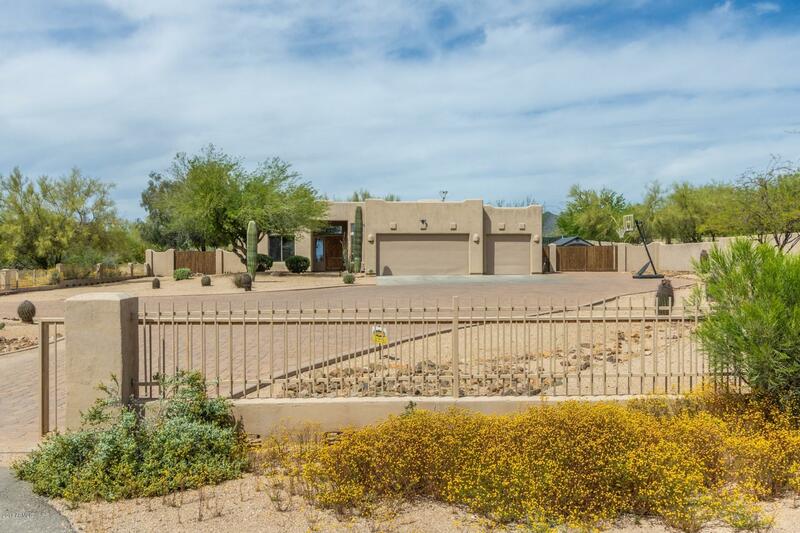 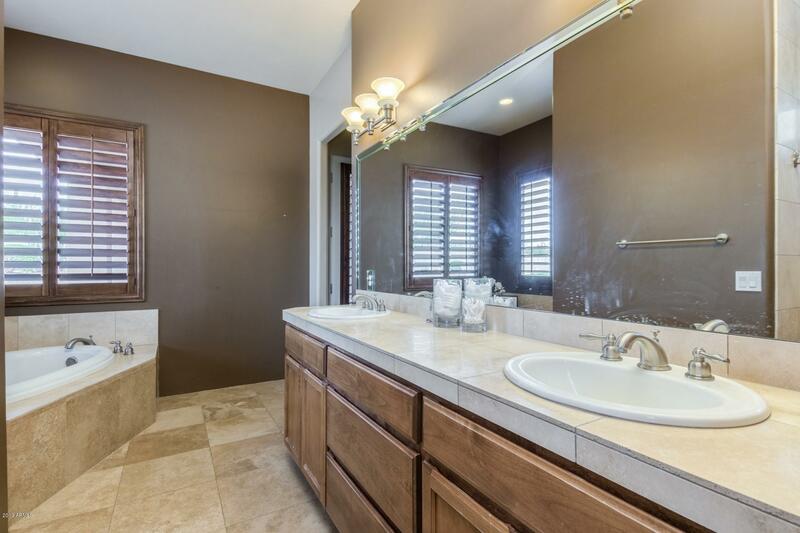 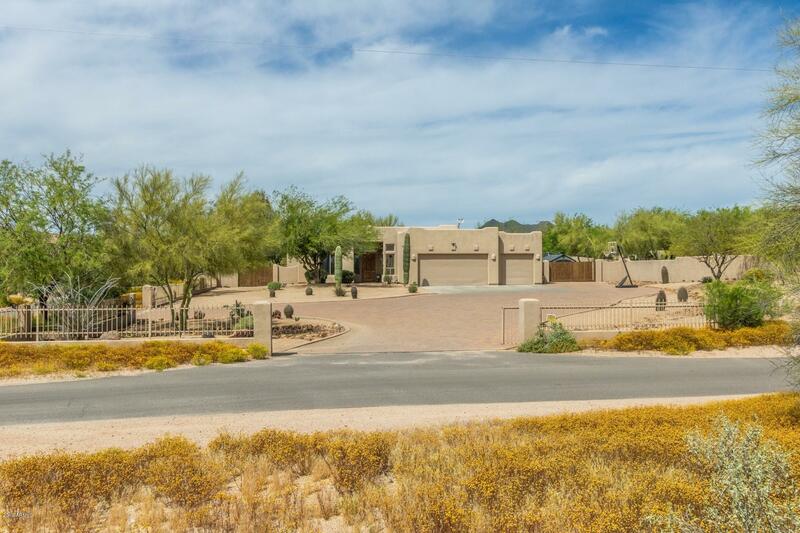 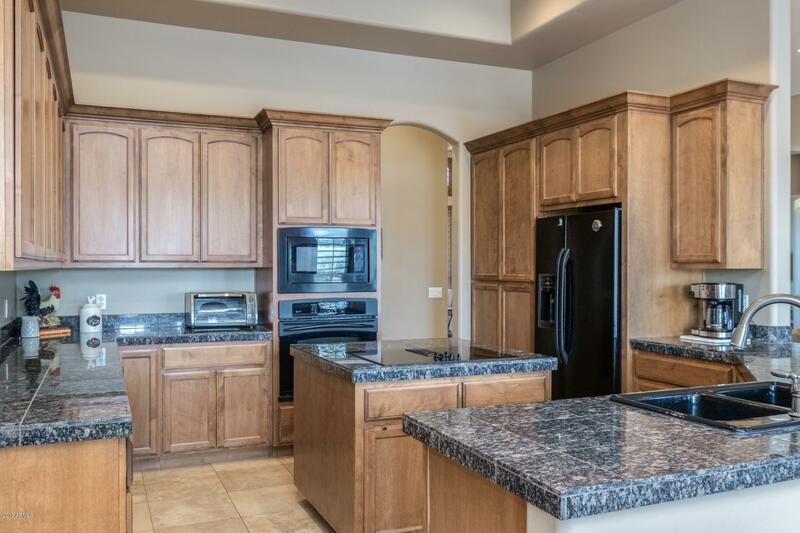 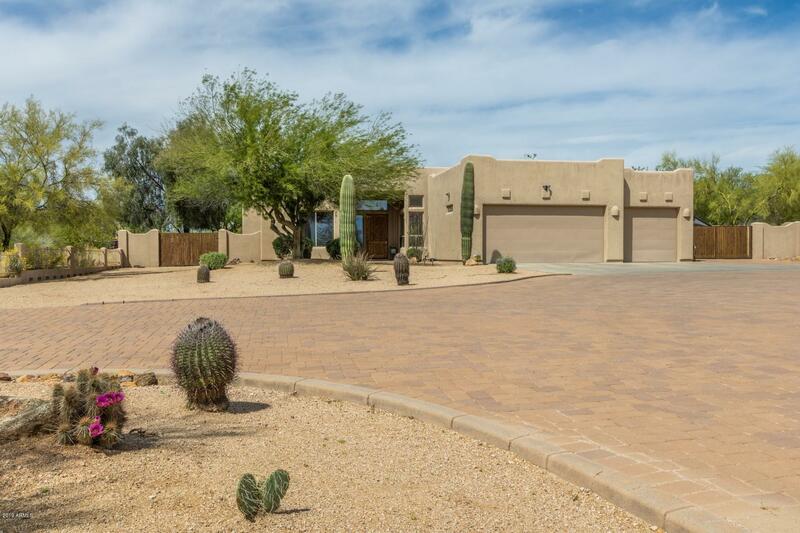 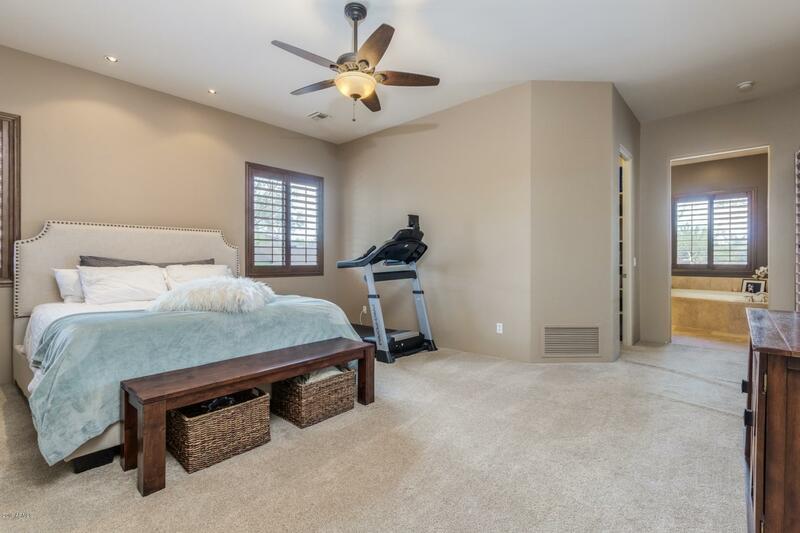 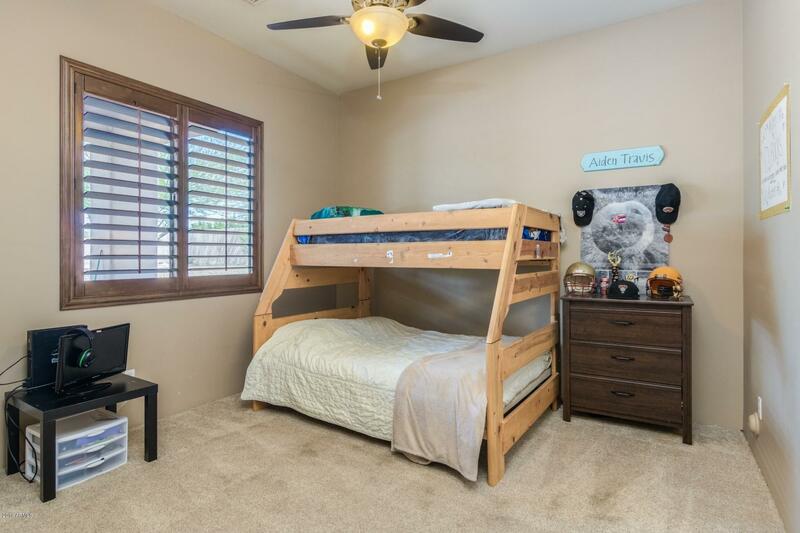 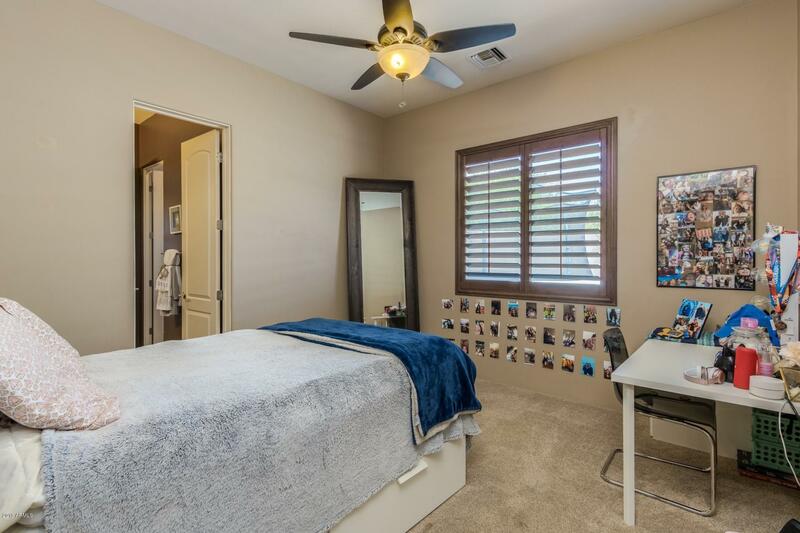 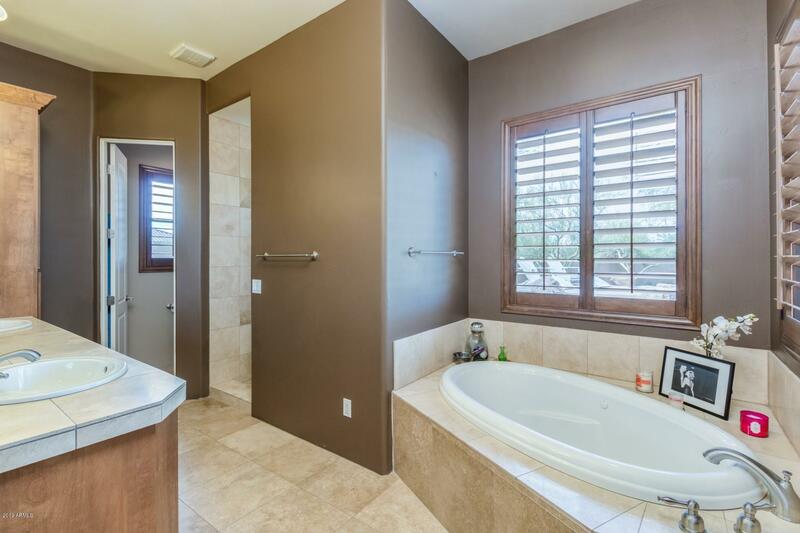 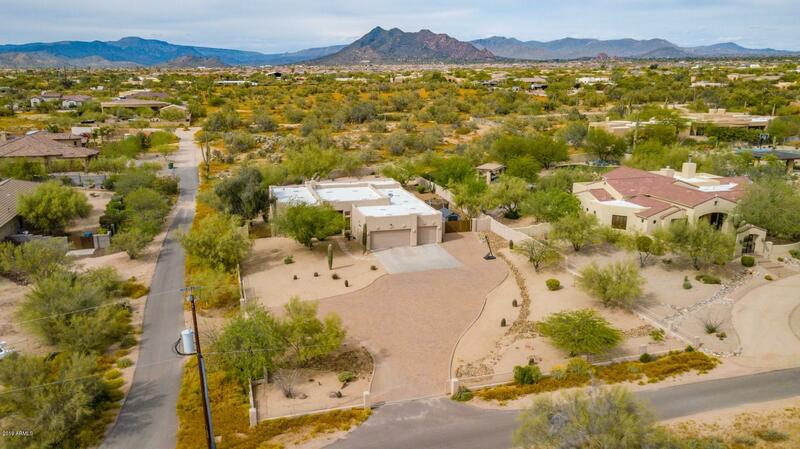 4 bedroom - 2.5 bath - custom home with Block paver driveway is large enough for several vehicles with TWO 20' gated entries, a 12' RV gate on west side and 16' RV gate on east side w/ concrete ''RV'' pad in back yard. 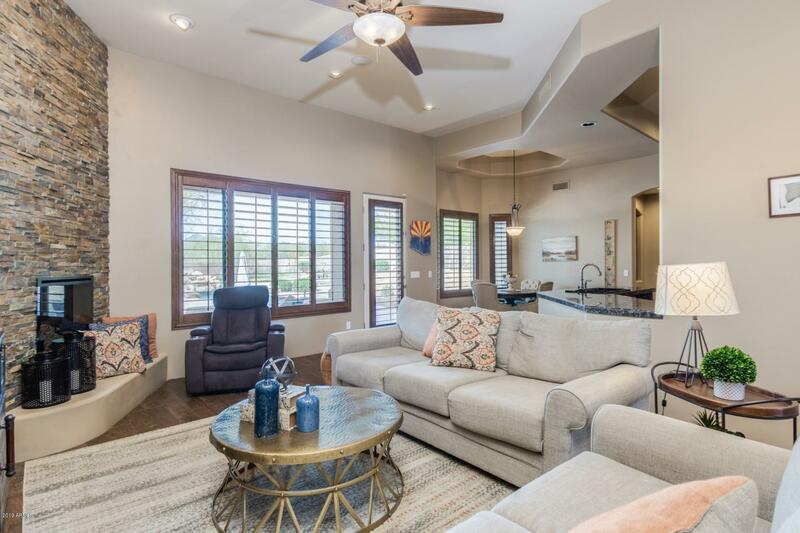 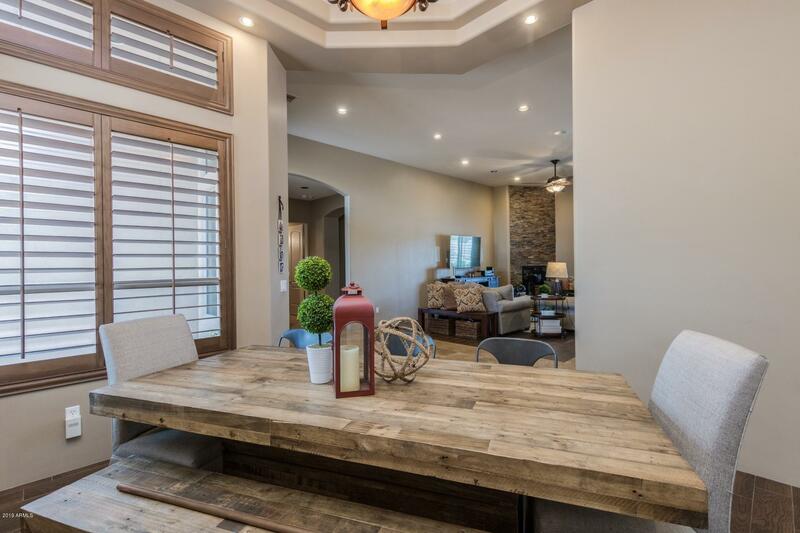 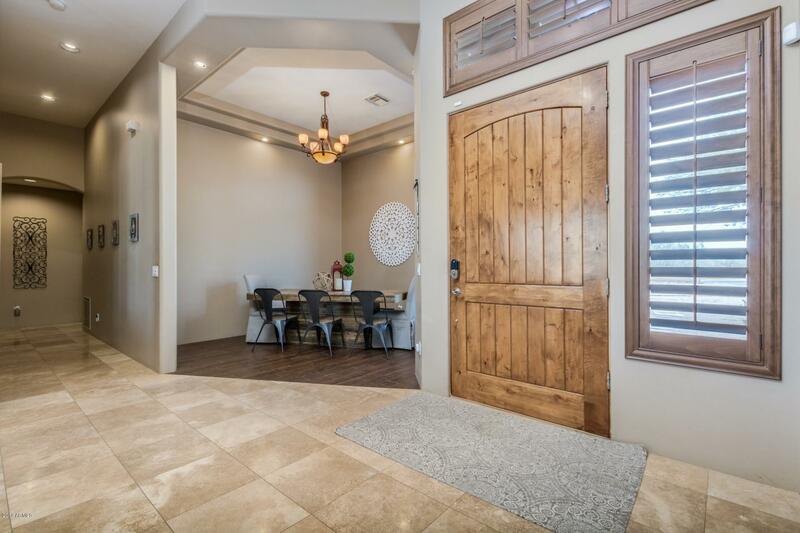 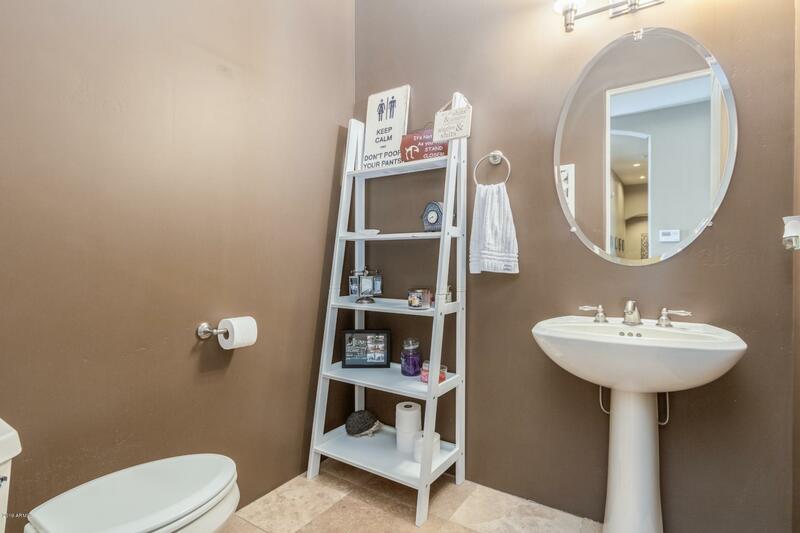 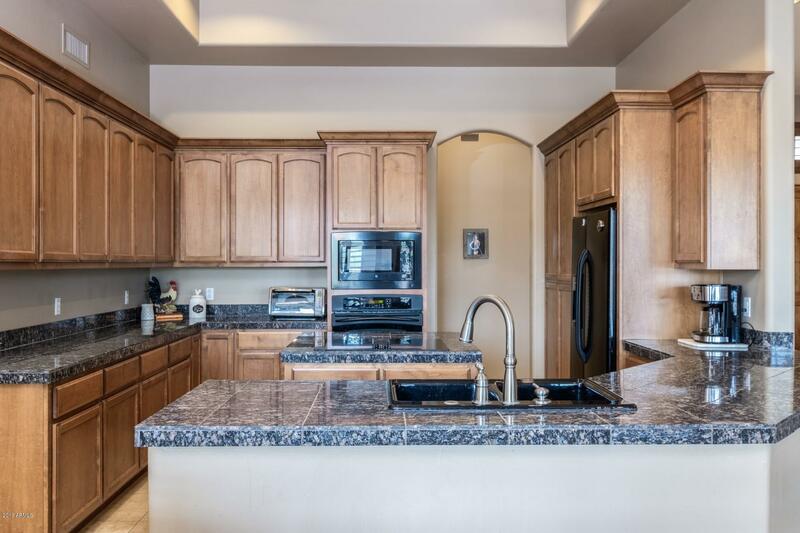 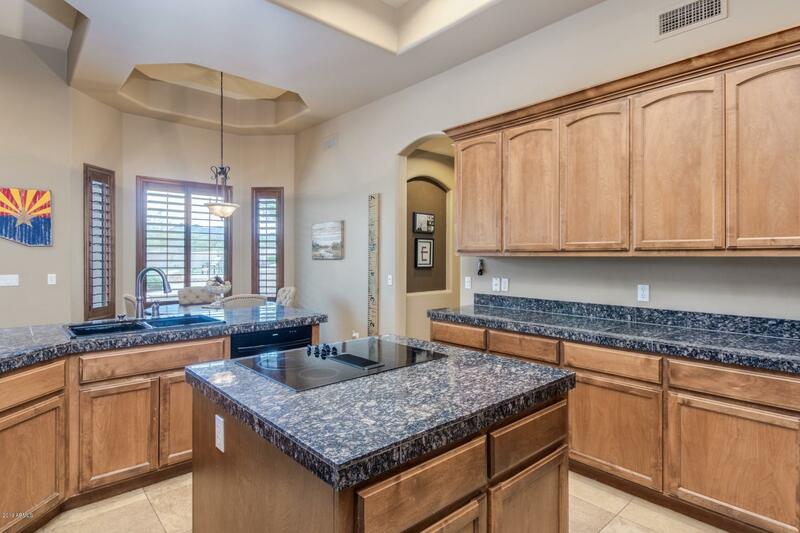 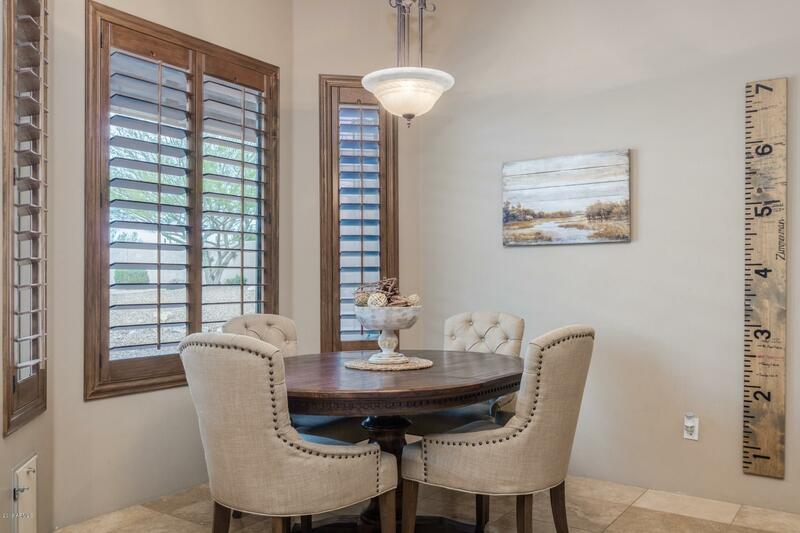 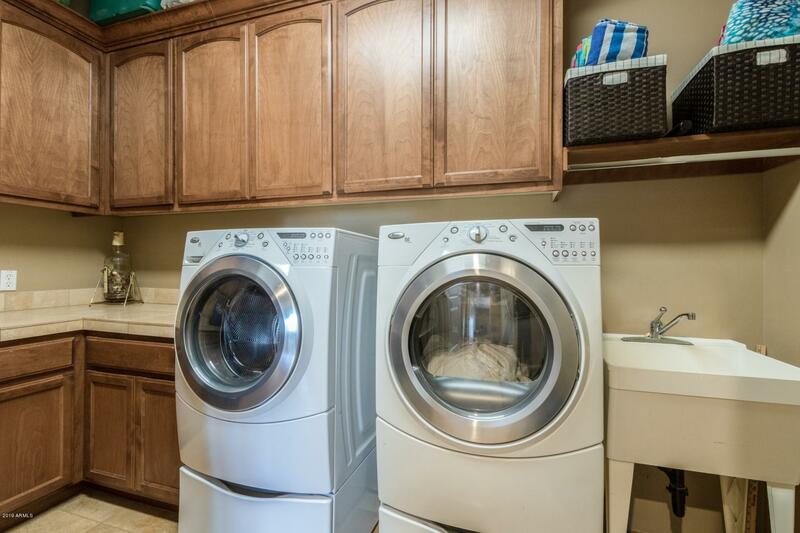 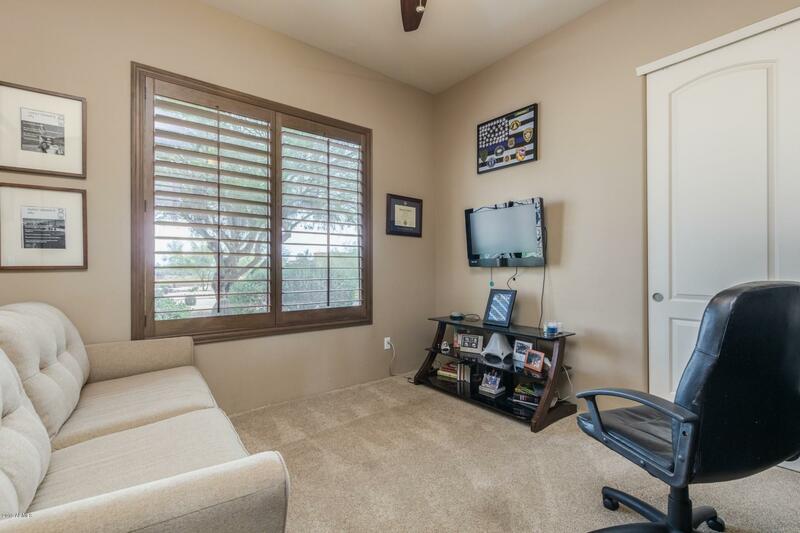 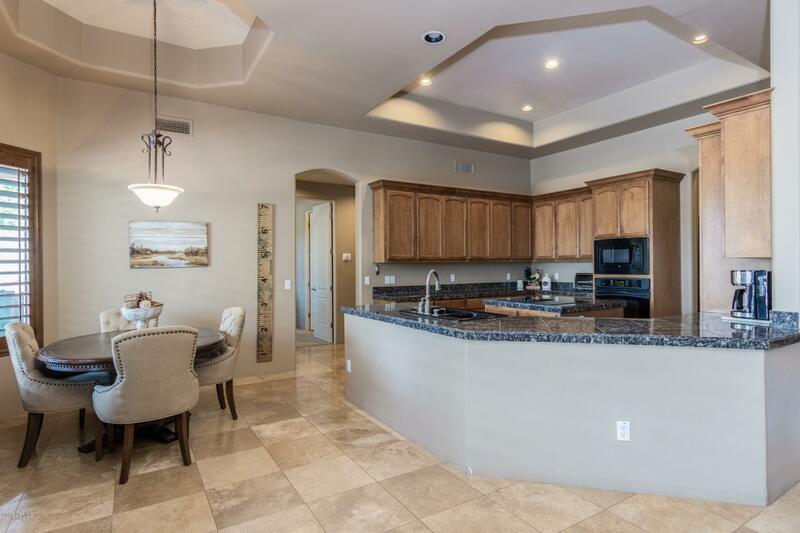 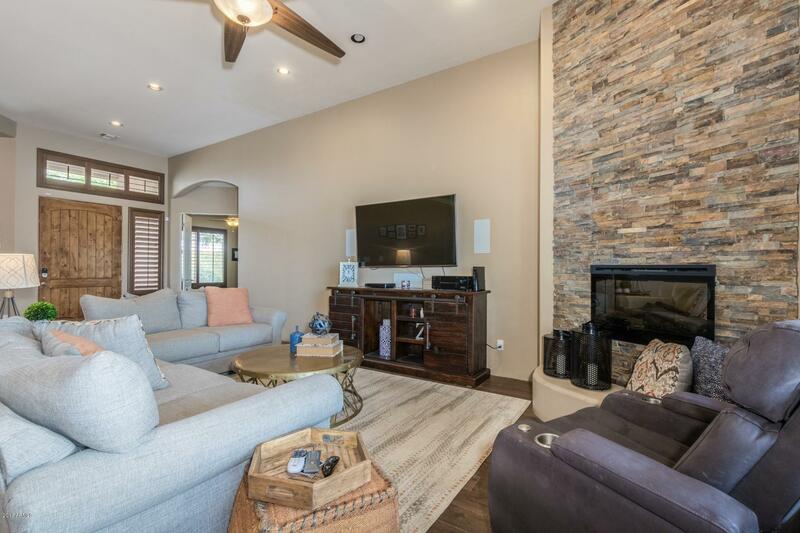 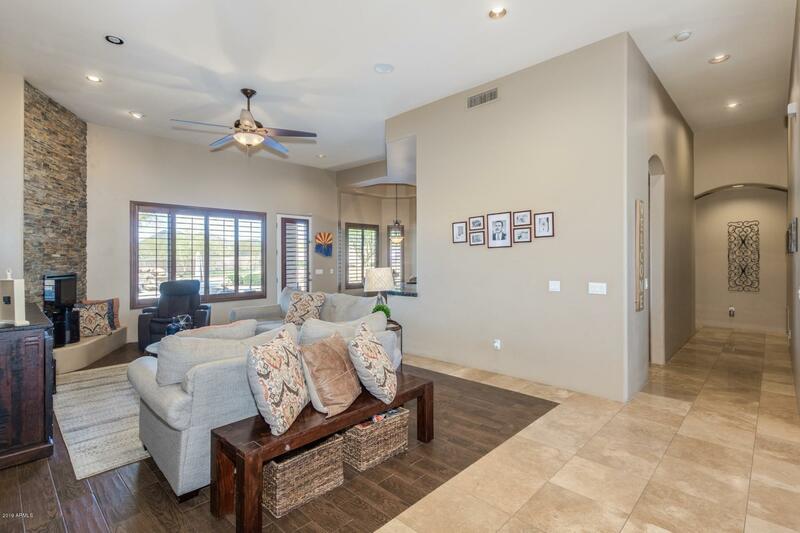 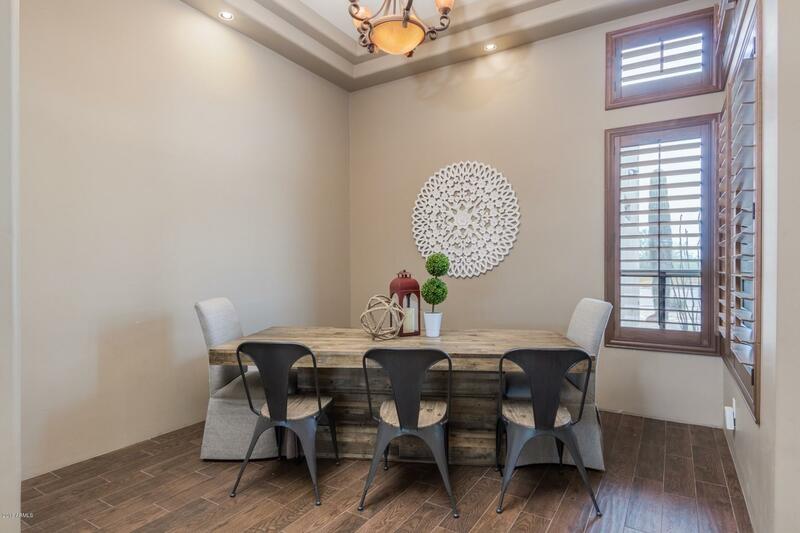 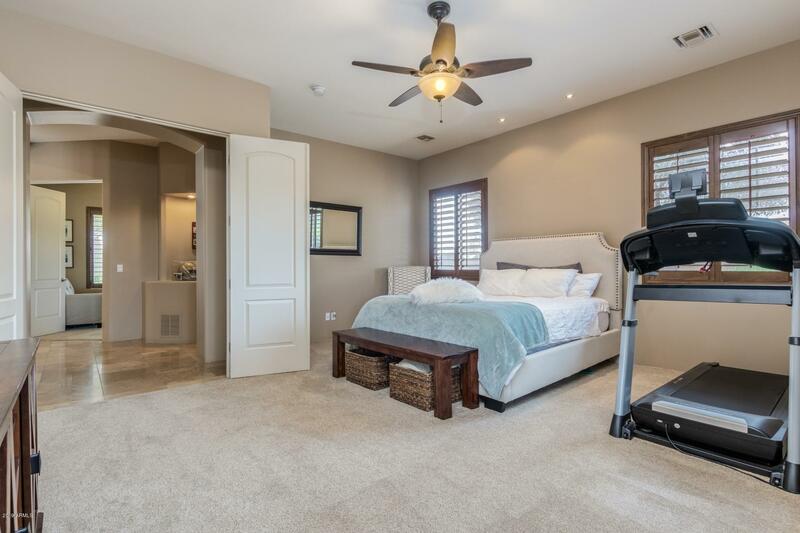 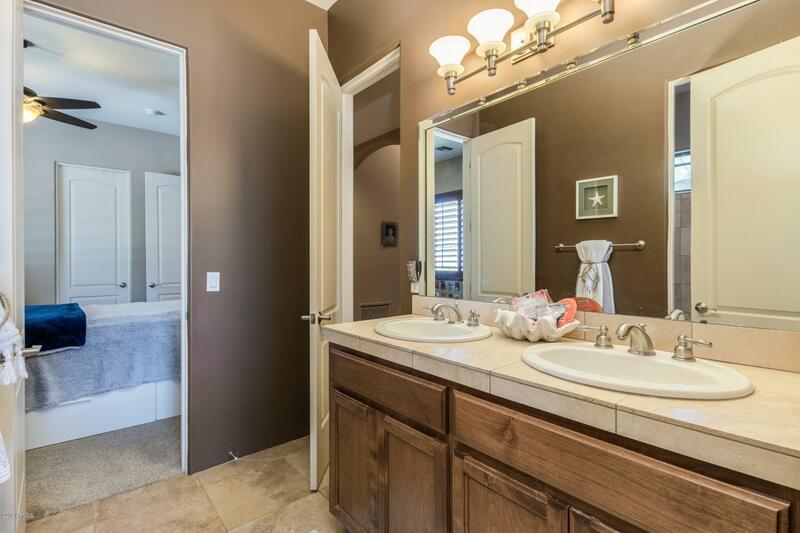 Interior finishes carpet, tile, rock fireplace, shutters, water softener, 2 water heaters, ceiling fans, Granite countertops in kitchen, travertine tile, large laundry room, 12' ceilings, breakfast room AND formal dining, Larger luxury properties surround! 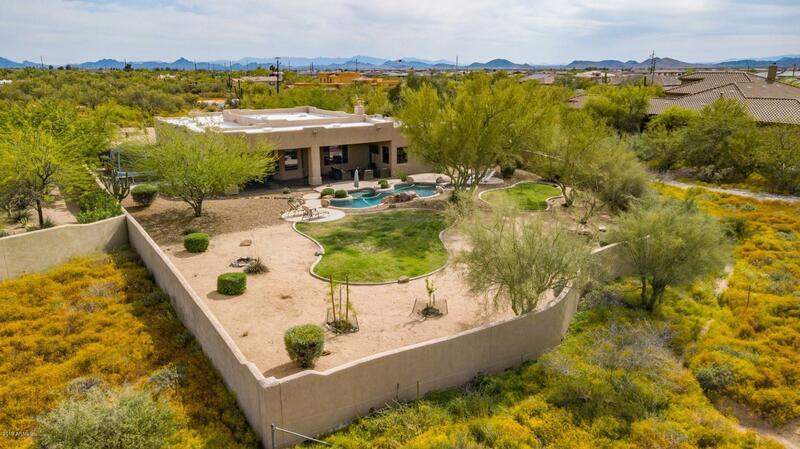 Phenomenal location!